Missoula fishing guides are not normal humans. While the rest of western Montana is overjoyed to see the arrival of sunny weather in the 60’s and 70’s fishing guides can be seen muttering under their breath and cursing their bad luck. 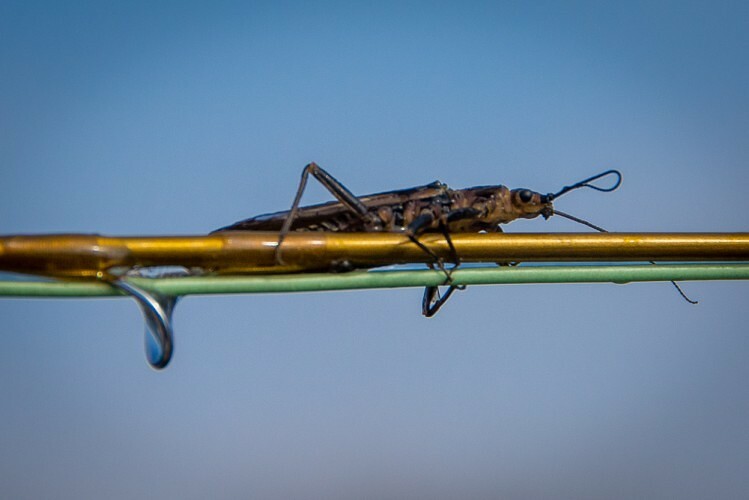 The spring season is always a tightrope act of temps warm enough to get the big bugs moving but not too warm to push the snowpack out of the mountains and into our rivers. Sunny and 70 seems great, but right now it either means cancelled trips or long drives over to the Missouri river. Give me 55 and cloudy until May 1st and I’ll have less gray hairs at the end of the year. Odd behavior by Missoula guides isn’t only limited to this time of year though. We are a strange lot, and most of this revolves around the weather. Can you think of any other collective group that prays at night for cloudy skies? A lot like ranchers and farmers we look to the heavens every morning and hope our prayers our answered. Clouds mean confident trout and good dry fly fishing while the blazing sun translates into vacant water and sunburned anglers. Add a little light rain in the fall please to get those mayfly hatches rolling full steam. Wind? We never actually say the word, true veterans never even think it. It’s simply referred to as the “W” and if it rears it’s ugly head it can ruin your day in a flash. Sunny and warm with a slight breeze to keep you cool might be perfect if you’re a civilian but fly fishers and especially fly fishing guides live for cloudy and calm. It always makes me laugh at the market in the morning when I’m picking up lunch. The cashier will almost always innocently comment on the weather and you can be sure that I’m always thinking the opposite. She’ll say, “It looks beautiful out there today.” Translation: sunny and warm, Guide translation: damn infernal sun and no rising fish today…I hate life! Or “Glad I’m not out there today.” Translation: cloudy and cool, Guide translation: I live for these days, thank God! I love my job! Fishing guides, we’re not quite right in the head but we have one helluva an office. 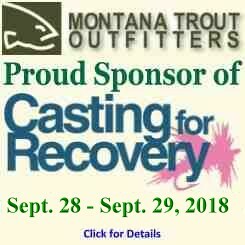 The Missoula fishing report hasn’t changed much in the past week. The Skwala hatch is still sputtering along. If you are in the right place at the right time you could see a good push of bugs, but overall through the system they are still just trickling off. The added challenge this week is the increased boat traffic. Fishing pressure always spikes at the end of March and beginning of April and we’ve been seeing that this week. A little creativity goes a long way in getting away from the pressure, and at this point in the hatch it can pay big dividends. The fishing has been solid with the dropper game carrying the lions’ share of the workload. 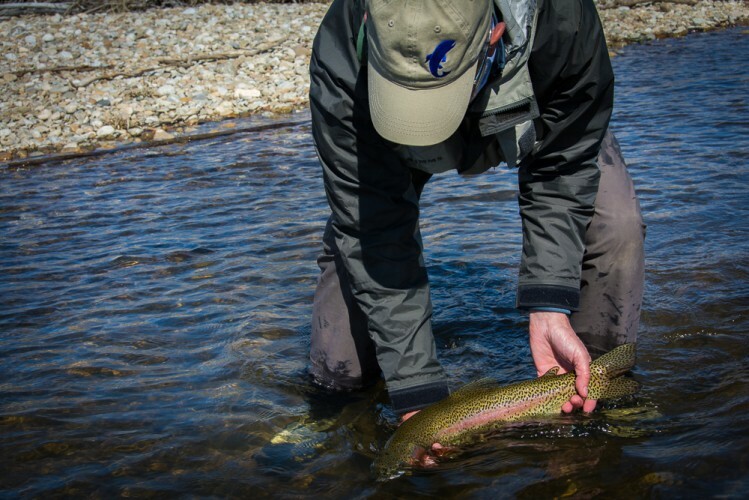 The dry fly fishing is decent and can be good with the absolute right drift in the exact right spot. The fish have seen enough big bugs that they will eat them in the soft water, but they aren’t blasting them in the random spots when the hatch is full force. 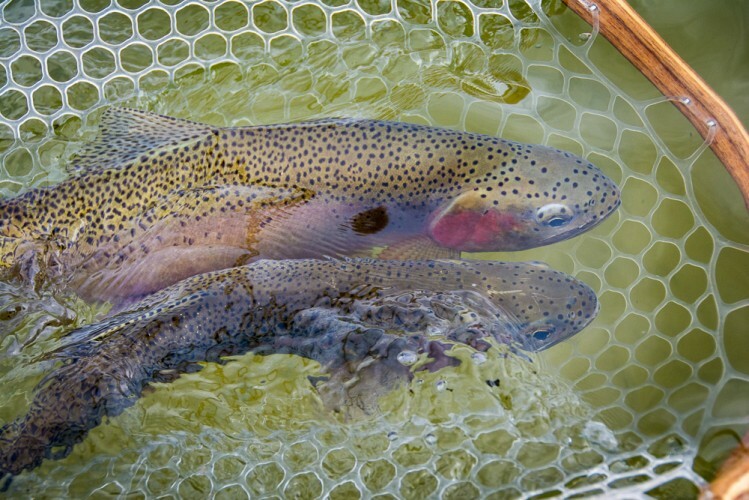 Right now the fishing is decent most days and skilled anglers are rewarded with a solid dry fly bite. 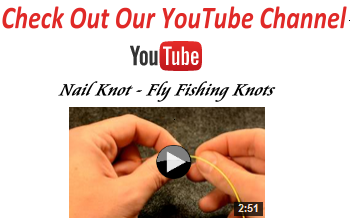 A little drag on the drift or a fly 6″ out of place go untouched. Things are progessing though, I saw the most bugs of the season so far today, and if our water holds the coming week could be when the fly fishing busts wide open. Time will only tell, but I for one am looking forward to getting back out there in hopes of bugs rolling and fish gobbling. I was fortunate to spend an afternoon with Montana fly tying and fishing legend John Foust. 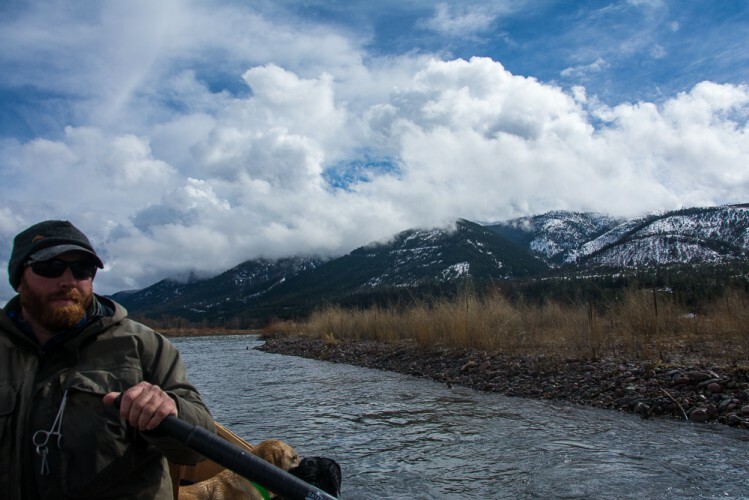 You may have never heard of John, he’s not a big self-promotor, but if you’ve fly fished for trout in the western US you have likely felt his influence whether you know it or not. 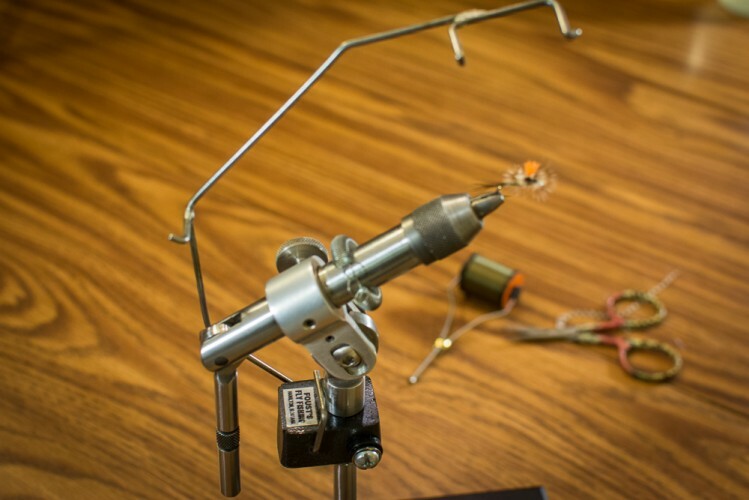 Foust is one of the most innovative fly tyers in recent history. He developed some of the first stamps to cut foam bodies and wings, perfected adhesives to glue foam and other fly tying materials, invented the parachute tool, he even built the mechanical trout they used in the movie “A River Runs Through It.”. I am simply amazed at his creative mind, he has probably forgotten more about fly fishing than I will ever know. This winter I called John asking if he knew how I could make my parachute flies more durable. Sometimes they would fail after only a few fish and it was always due to the hackle coming loose on the fly. John just chuckled and told me to drop by his house sometime with my vise. John sat down at the vise and started tying a parachute adams. Everything looked standard to me until he tied the post in. Then he flipped up this tool and started tying a strand of monofilament in. 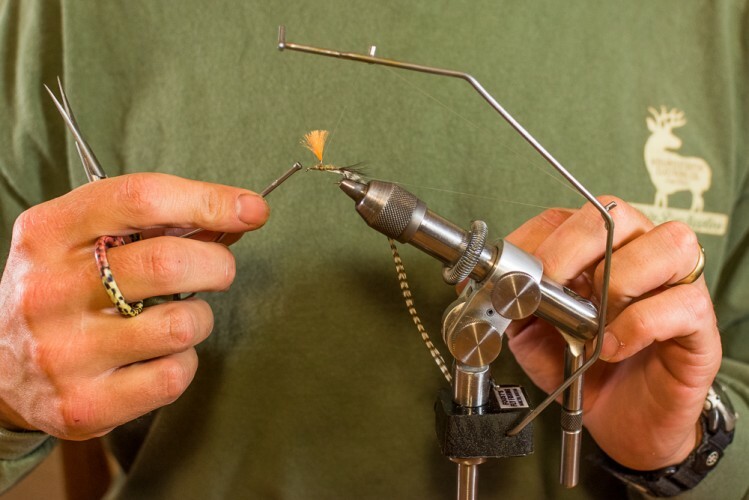 It looked complicated and I had trouble keeping up but John just kept on going and explained that the tool allowed you to secure the hackle with 4lb mono so there was physically no way the fly could come unraveled. 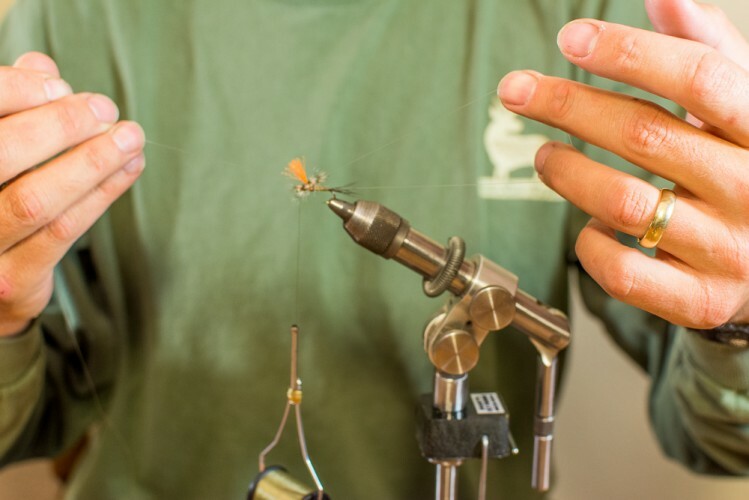 He also said that using the tool added no more than 30 seconds to a minute to the overall time of tying the fly once you got used to the steps. I was more than skeptical at first. I am not a fan of tools in fly tying, the fewer tools the better and I thought the process would take too long. But after sitting with John for half an hour and tying some flies I’m a true believer. What looked complicated in the beginning is really rather easy and by the end of the session I was cranking out flies quickly. The best part is that an extra 45 seconds on the front end creates a parachute fly that is nearly indestructible. In my business flies that last pay big dividends in the long run. The state of the Skwala hatch has been a hot topic of conversation lately around Missoula. According to the social media outlets the hatch is going full bore, cast out a dry fly anywhere and reel in a monster trout. The truth is somewhat different. There are Skwalas out in certain spots, but they are not plentiful yet. If you are in the right place at the right time you can enjoy a few hours of single dry fly fishing in the afternoon although there is no specific formula at this point to guarantee your success. This past week we had boats seperated by only a few miles on the Bitterroot. One boat had solid dry fly fishing while they other couldn’t buy a trout on the surface. The dropper fishing has been fairly steady on the mid to lower Bitterroot while the upper river seems still a little cold to produce consistent results. The fishing has been good it just hasn’t been the classic dry fly fishing yet that everyone is hoping for. The bugs will pop in earnest soon. When exactly? Your guess is as good as mine but it could happen by tomorrow or the next day, or it could be next week but it will happen soon. Until then the dry/dropper game will continue to put trout in the net on the Bitterroot and one of these afternoons they will start to feed hard on top. If you are looking for less company on the river both Rock Creek and the Blackfoot river have been nymphing great this past week. Standards like rubber legs and san juans have worked best and it pays to focus on the slower winter type water. Not much for reliable information from the Clark Fork, but the one report relayed decent fishing with droppers and nymphs with about an hour dry fly window. You can find pods of rising fish on midges around town to keep you busy for an hour or two but the main hatches are still a little ways out. Fly fishing in the Missoula area is poised to bust loose soon. Keep a sharp eye on the streamflows though because a couple warm nights or too much rain could put the fishing off for a few days. The 2014 fishing season has started and it’s about to get busy here in Missoula. While I still have the time I thought I would share some of our winter time activites when we can’t be out on the water. My good friend, Karl Jones, is one of the best wooden boat builders in the west. Production at Bitterroot Boatworks is limited because Karl is a full time guide, but every off-season he usually refinished a couple guide set-ups and finds a little time for some Missoula boat building. I kept tabs on him this winter and produced a short video that’s worth a look.